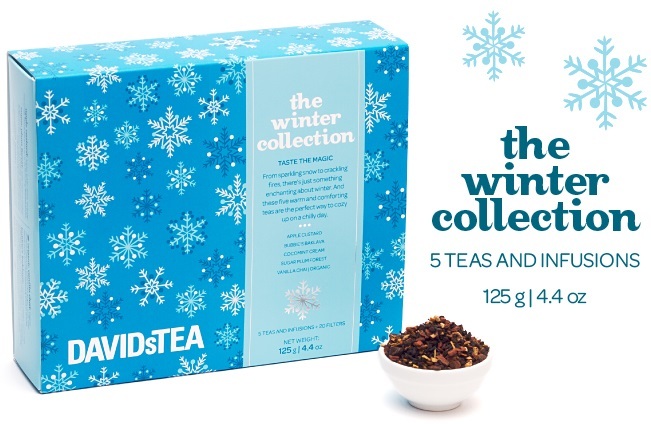 The Winter Collection + the Nordic tea mug with infuser and lid from DAVIDsTEA is a perfect gift for tea folk who like blends and want to prepare them easily at the office or at home. I don't work in an office but I've been using the mug often. I like the lid - I can cover my mug while the tea is steeping and it's a convenient saucer for the infuser. 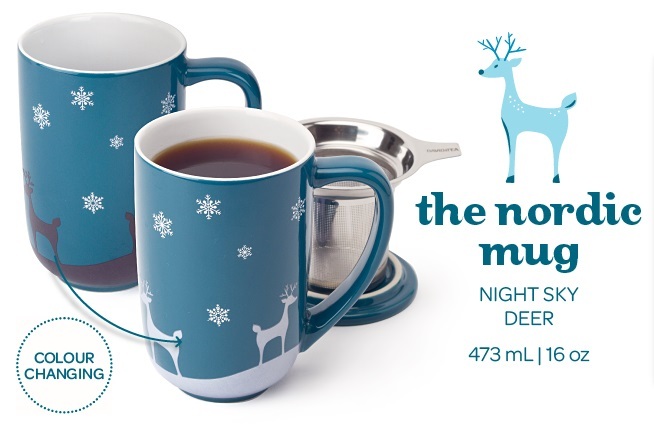 Another neat feature of the mug is its heat sensitivity; the reindeer design on the exterior change color when you pour in hot water. The teas in the collection are sugar plum forest (Rooibos), apple custard (tisane), cocomint cream (tisane), bubbie's baklava (oolong), and vanilla chai (black). The serving size is curious - 1.25 teaspoons. I would suggest a heaping teaspoon for the tisanes. Also I think I would prefer the tisanes as iced teas would make refreshing iced teas. For the oolong and black tea based blends, I would suggest using two teaspoons to extract more of the base tea flavors. All the teas are very aromatic and put you in the season, so to speak. Tea and tea mug c/o of Bratskier & Company. 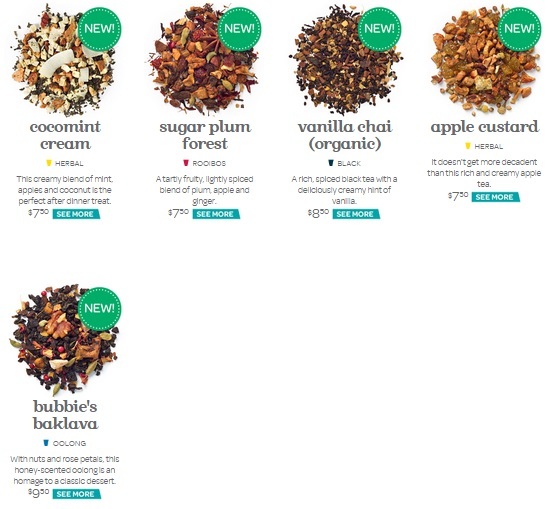 Images from DavidsTea website.